Business Creation; so many options to consider. Whether you are starting a new business, doing a merger or acquisition or creating a new legal entity for an existing enterprise, we will guide you through the process. We will review registration of name and/or trademark; incorporation of the entity, appointment of shareholders, directors and officers; negotiation and drafting of lease, employment, non-competes, asset acquisition and other business agreements. 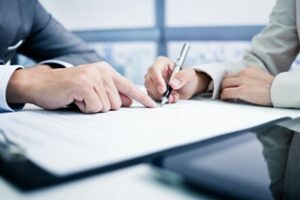 Our attorneys can assist you in choosing the form of business organization that best suits your personal and business needs, whether that is an LLC, S corporation, C corporation, or other type of entity. None of these decisions should be made without careful consideration. Our attorneys stay up to date on laws that could affect the way you set up your business. In addition, one of our attorneys is also a Certified Public Accountant. We’ve helped hundreds of business over the years and will help you avoid legal traps and pitfalls by helping you carefully consider all of the personal liability, tax and other business issues that are affected by your choice of entity. We are here to help – contact one of our business attorneys if you need assistance in choosing how to set up your new venture and the best type of business for you.